Two clubs, two singlets, two cities, together! We are lucky that no member or family member of the club was impacted by the shameful attack at the finish line of the Boston Marathon on April 15th. However, we are greatly saddened by the three four deaths and hundreds of grievous injuries suffered by our running community brethren. Our club extends its condolences and sympathy to all those directly affected. Furthermore, our full support goes to the B.A.A. and the City of Boston. Boston is greater than any bomber. WRC wishes to voice a solidarity that is louder than bombs, by continuing to participate in the sport we love, exercised within a kind of free and open society that we require. So, as far as this upcoming weekend goes, here are four things which WRC is doing. Please join us. Doug Cassaro (a coach of the DC Road Runners) is organizing a tribute run starting from the L’Enfant Metro entrance. Participants are encouraged to wear the B.A.A.’s signature colors of blue and yellow. This is but one of many events occurring in DC to honor Boston Marathon bombing victims; the Washingtonian is compiling a list of these events here. The next race within our Grand Prix Series is the George Washington Parkway Classic 10 Mile. Club members are strongly encouraged to wear any version of the WRC club singlets here. El Prez, Kirk Masterson, will be racing here. 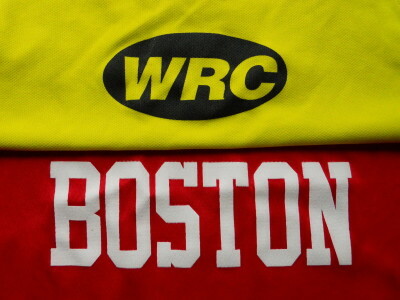 Taking inspiration from the Wearing Boston trend, we invite everyone to wear your new or classic WRC singlet, and/or any clothing related to either Boston or the Boston Marathon at the usual Sunday Distance Run. For many of you, this will be easy; after all, Dan and Nelson often coordinate as twins in their Boston regalia. Still, I (Kit) will bring all of my gear printed with Boston, to lend out for the morning to those less well-endowed (with Boston lucre). Hopefully others can do the same. It would be nice to record this with a photo taken before the run commences, and again during the post-run coffee. I am eager to reunite with our teams who raced up in Boston. For those who wish to make a financial contribution, to help the people most affected by the tragic events that occurred in Boston on April 15, 2013, we recommend donating to The One Fund Boston, a 501(c)3 charity which was just announced by Massachusetts Governor Deval Patrick and Boston Mayor Tom Menino. This entry was posted in Racing, Service, Social by Kit Wells. Bookmark the permalink. 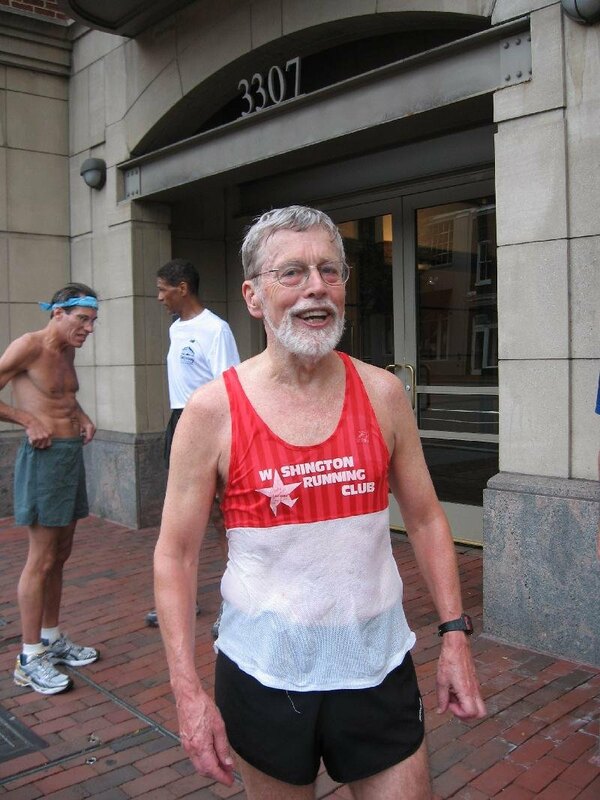 Washington Running Club (WRC) is a long-distance running club for runners of all abilities living in and around Washington, DC. The club meets for distance runs, participates in race events, and gathers for various social outings throughout the year. What WRC members have in common, regardless of their abilities, is an interest in the sport of running and being a part of the larger running community. Club members also provide aid and comfort to their fellow members as well as exchange advice and tips on running. Overall, we strive to improve our running, maintain our health and fitness, and have fun! This work is powered by WordPress and licensed under CC BY-NC-SA 4.0 + Additional Licensing Permissions.